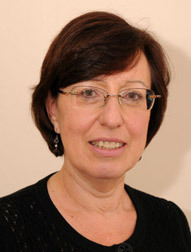 Dr Beryl Oppenheim is currently Honorary Secretary to the British Infection Association, Assistant Editor for the Journal of Hospital Infection, and sits on a number of expert groups. Her special interests relate to rapid methods of laboratory diagnosis, healthcare associated infections, antimicrobial resistanceAntimicrobial resistance refers to the ability of a microorganism such as a bacteria or virus to resist antibiotics., and infections in critically ill and immunocompromisedImmunocompromised describes a person whose immune system is not functioning properly. This can be due to injury, disease or medical treatments. Patients who undergo organ transplants receive drugs to suppress the immune system to stop the body rejecting the new organ. patients. She is a Theme Lead for Microbiology for the NIHR Surgical Reconstruction and Microbiology Research Centre. Dr Oppenheim has wide experience in a variety of settings both abroad and in England, including general and specialist hospitals. After graduating from Witwatersrand University in Johannesburg, Dr Oppenheim spent her early medical career at Johannesburg Hospital before becoming a Consultant in Microbiology in 1984 at the South African Institute for Medical Research. Her first post in the United Kingdom was at the London Hospital Medical College as a lecturer in microbiology. She went on to hold work as Director at both the West Midlands and Manchester Public Health Laboratories. In 2009 and 2010 she participated in a national group of Infection Prevention Technology Specialists providing expert advice to the Department of Health on new technologies to tackle healthcare-acquired infections. She was the Royal College of Pathologists Medical Microbiology representative to CPA Professional Advisory Committee from 2004-2007. She has published more than 70 peer reviewed papers, as well as numerous review articles and book chapters and has been assistant editor of the Journal of Hospital Infection since early 2007.